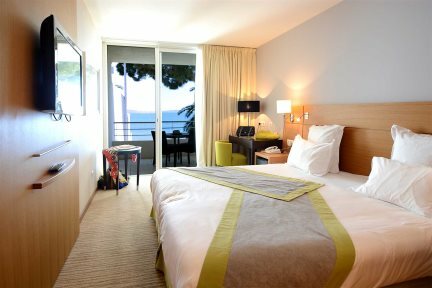 A delightful beachside hotel affording spectacular views across the bay and located 9km along the coastline from central Ajaccio. Home to 32 bedrooms, all of which have large patio doors that open out to either a balcony or terrace, this hotel really makes the most of its incredible sea views. 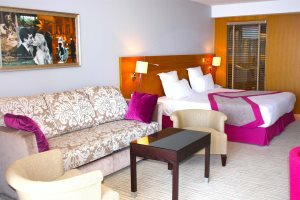 The rooms themselves have good facilities, with neutral décor and splashes of colour, giving them a modern, bright and contemporary feel. You will undoubtedly while away the hours by the swimming pool. Its position within the hotel really makes the most of the seaside location, with uninterrupted views of the crystal clear blue waters and the Ajaccio coastline. If you prefer sand between your toes, relax on the hotel's own little beach area. For light snacks and refreshments, there are a choice of light snacks available to purchase during the afternoon, and the bar is open until 9pm. 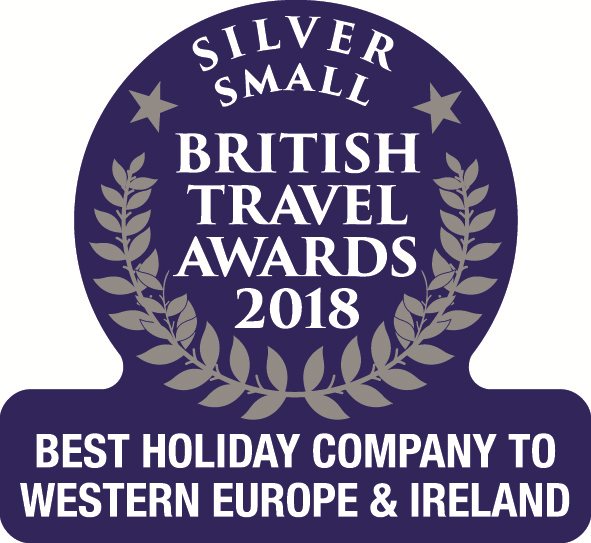 For those wishing to explore the main sights in the area, jump in your hire car and take a drive to some secluded beaches along the coastline, or visit the bustling town of Ajaccio with its daily market and excellent choice of shops and restaurants. Restaurant, bar serving light snacks, swimming pool, Wi-Fi, parking. No lift. En-suite bath or shower room, room service, television, mini-bar, air-conditioning, Wi-Fi, balcony or terrace. 26m² with large patio doors that open to the balcony or terrace with sea views. 51m² with large patio doors that open to the balcony or terrace with sea views. Corsica’s diminutive capital sparkles with a Mediterranean buzz, bustling squares and cafés on every corner with ample culture and many places that celebrate Corsica’s famous son – Napoléon Bonaparte. There are plenty of places to visit including Napoléon's house (Maison Bonaparte), Musée Capitellu, the Citadel and Musée Fesch. There is also a local produce market held every morning Mon-Sat at Place Cesar-Campinchi providing an ideal scene to capture the essence of local life as you watch the world go by. The sea front promenade along the Route des Sanguinaires is a pleasant place to stroll and leads to some lovely beaches. Against the backdrop of the Citadel in central Ajaccio, this is the city centre beach where locals go to relax while out shopping or taking a break from work. The view to the west is of the beautiful Iles Sanguinaires. Towards the end of the beach the sand becomes more pebbly. This renowned family beach is a short drive from the centre of Ajaccio and it has a good suite of facilities including parking, lifeguards and toilets. Yet is also maintains a unique environment with the recent replanting of local plants and a strong sense of conservation for the local wildlife. All this and the beautiful pure blue of the Mediterranean. A long sandy beach with water sports and other facilities, making it quite lively. It runs along the Porticcio road. The area of Porticcio and Agosta has the highest proportion of hotels in the whole of Corsica and so the area can be busy in peak season. The area has abundant sheltered coves, highly rated in summer and virtually untouched out of season - you may have these pretty beaches to yourself! Ajaccio hosts a jazz festival every year, showcasing some of the most exciting artists of the international and French jazz scene today. Numerous free live music events are held each year across the island on 21st June. Mass and procession honouring the patron saint of fishermen through the streets of the old town and out to sea. The population is invited to come aboard the boats to follow this procession on the water after the priest blesses the boats. In addition to the religious celebrations for the Assumption, there are also commemorative festivities marking the birth of Emperor Napoléon 1st, which makes this date the high point of the summer season in Ajaccio. Ajaccio celebrates the August birthday of Corsica's most famous son with period processions and a fireworks display. The discovery of countries and their inhabitants through cinema. 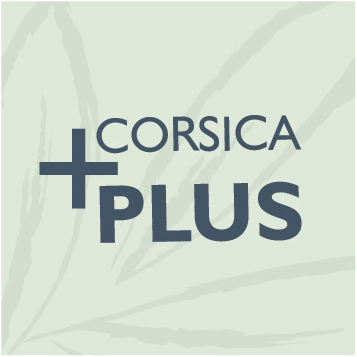 During this festival, Corsica welcomes directors and numerous actors, with spectators voting after the screening of each film. All art and culture of Japan will be celebrated. This new and atypical event in Corsica reveals the great wealth and beauty of the traditions and expression of Japanese art. Famous guests will come and present cinematographic, pictoral, theatrical, literary and even gastronomic works! Ajaccio is an attractive town with an exceptionally mild climate and boasts a wealth of cafés, restaurants and chic shops. The old town is especially charming with a cluster of ancient streets spreading north and south of the Place Foch, which opens out onto the seafront by the old port. The Place de Gaulle forms the town centre. Following on from this is the Cours Napoléon, lined with chic boutiques and brasseries, and running parallel to the beach for almost 2km. There are plenty of places to visit including Napoléon's house (Maison Bonaparte), Musée Capitellu, the Citadel and Musée Fesch. There is a local produce market held every morning Mon-Sat at Place César-Campinchi providing an ideal scene to capture the essence of local life as you watch the world go by. The sea front promenade along the Route des Sanguinaires is a pleasant place to stroll and leads to some lovely beaches, the least crowded being the furthest along. The Nave Va company run boat trips from the old port near the Citadel out to these islands, as well as further afield (Bonifacio, Porto and the Calanches). Northwest of Ajaccio is the nearest of the Bonaparte family's country houses. Les Millelli is a stolid plain 18th century building with a wonderful terraced olive grove that overlooks the gulf (great for picnics). There are other châteaux ruins further along. Heading south around the bay you will reach the town of Porticcio, a busy, lively resort with an abundance of shops including many small speciality shops selling locally produced pates, saucissons and cheeses. There is also a large expanse of sandy beach with windsurfing, boat hire and a choice of other water sports and beach activities. Take the breathtaking walks along the lush green ridge of hills known as the famous “les Crêtes”, just a short drive from Ajaccio centre. The tortoise park of "A Cupulatta" makes a good family day out. Located half an hour away on the N193 in the small village of Vero, the park, which is home to some 150 different species of tortoises and turtles. The site is open every day from 9am to 7pm in the summer and from 10am to 5.30pm during the rest of the year. Cargèse is at the northernmost tip of the bay and is a charming cliff top village with an unusual history and ancestry linked to the Greek Peloponnese. Even today there are both Catholic and Greek Orthodox churches although both are presided over by the same minister. Long sandy beaches characterise Corsica's largest Gulf, the Bay of Sagone, which stretches 40km down the west coast to the north of Ajaccio. Cargèse is a lovely clifftop village at the northern tip of the bay. Its Greek history has left it with a unique atmosphere today and there is a certain charm to the quiet streets and whitewashed houses. With five beaches within the vicinity it's a great base for a relaxing beach holiday - the Plage de Pero is one of the most spectacular in the area.